Mahout Som Chai with his elephant Pang Noi (Little Miss) at Boon Lotts Elephant Sanctuary, Baan Na Ton Jan, Tambon Baan Tuck, Si Satchanalai, Sukhothai, Thailand. 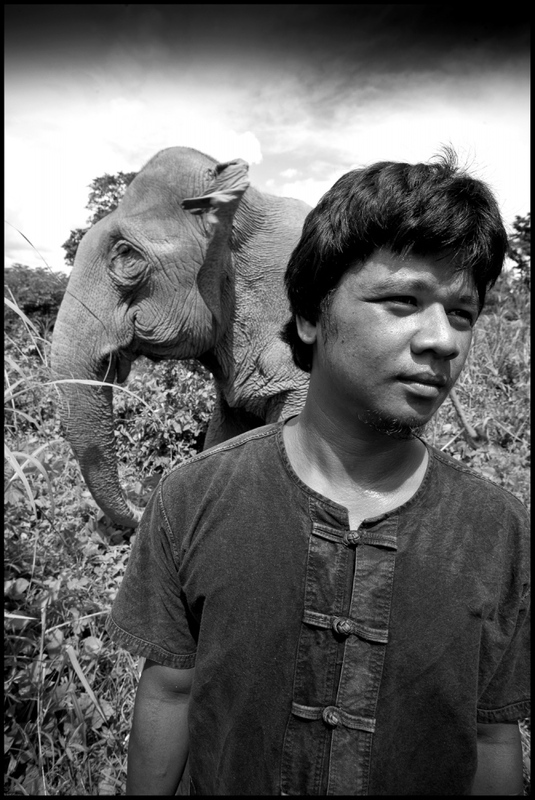 Som Chai is one of the handfull of Mahouts at BLES who are leading the way in Elephant welfare. No demeaning elephant rides or shows are alowed at BLES and the Mahouts care for their animals with positive reinforcement, no use of the ankus (elephant hook) for control. The elephants are left to be simply elephants to roam the charities forest grounds. 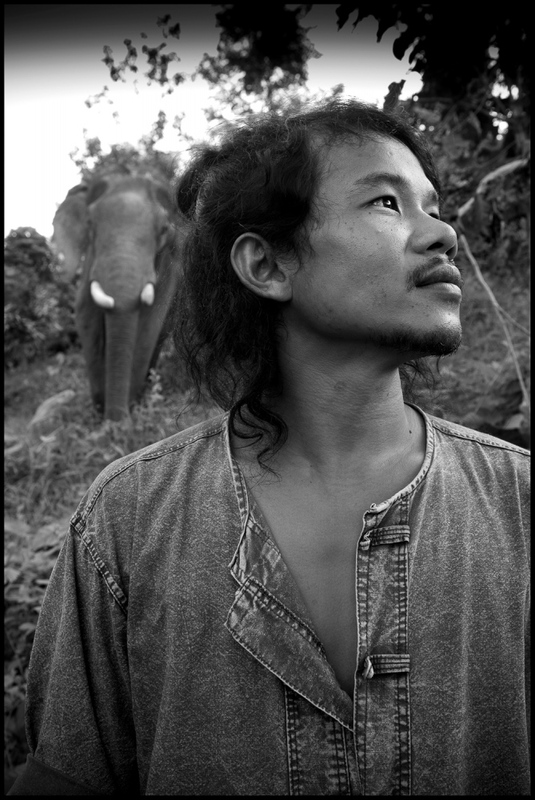 Mahout Loy with his elephant Wassana. "They Can't speak to me but some how they understand me." at Boon Lotts Elephant Sanctuary, Baan Na Ton Jan, Tambon Baan Tuck, Si Satchanalai, Sukhothai, Thailand. 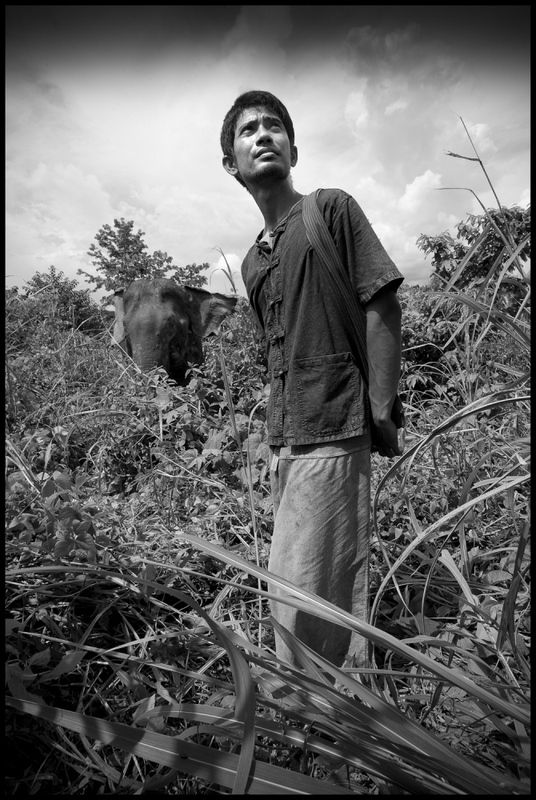 Wassana: (Fortune) Had half his foot blown away by a land mine while logging on Thai Burmese border. 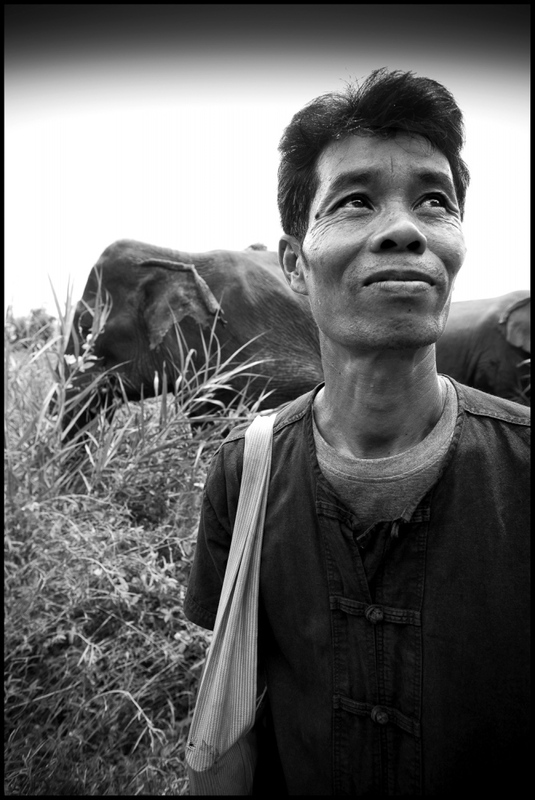 Loy is one of a handfull of Mahouts who are leading the way in Elephant Welfare. Mahout Dong with elephant Pang Suai (Miss Beutifull) at Boon Lotts Elephant Sanctuary, Baan Na Ton Jan, Tambon Baan Tuck, Si Satchanalai, Sukhothai, Thailand. Mahouts Don & Lor with Pang Tong & Mee Chok at Boon Lotts Elephant Sanctuary, Baan Na Ton Jan, Tambon Baan Tuck, Si Satchanalai, Sukhothai, Thailand. 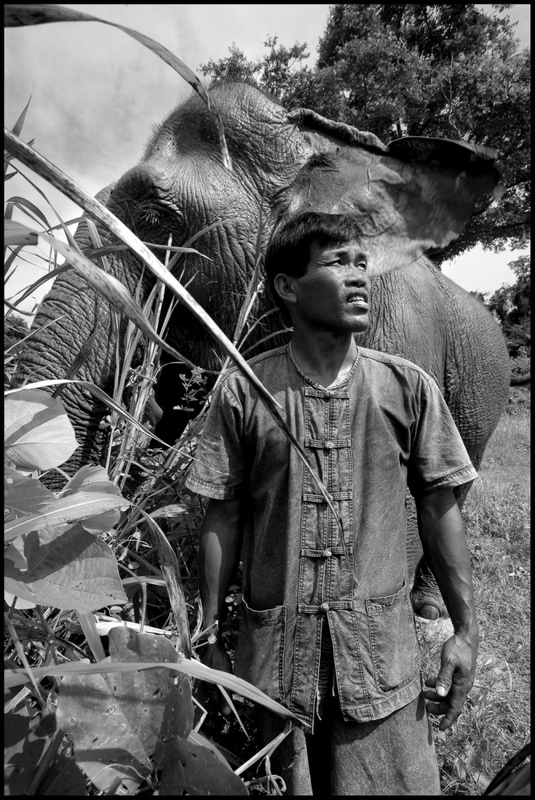 Mahout Anon with his elephant Tong Jai at BLES, Thailand. Anon is one of the founders of BLES and still a Mahout. Mahout Nen with elephant Pang Dow at Boon Lotts Elephant Sanctuary, Baan Na Ton Jan, Tambon Baan Tuck, Si Satchanalai, Sukhothai, Thailand. Sot with Somai at Boon Lotts Elephant Sanctuary, Baan Na Ton Jan, Tambon Baan Tuck, Si Satchanalai, Sukhothai, Thailand. Sot: " I didnt think what Katherine was trying to do here was possible when i first came to BLES. Working with elephants without the hook or the chains. Now i have to admit i was wrong." Sot is one of a handfull of Mahouts at BLES leading the way in Elephant Welfare. 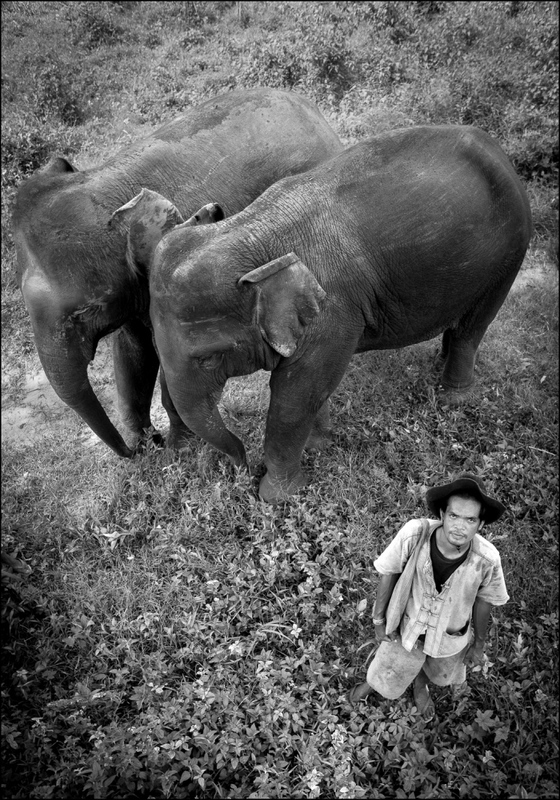 Mahout San with elephants Tong Yui and Bong Beng at Boon Lotts Elephant Sanctuary, Baan Na Ton Jan, Tambon Baan Tuck, Si Satchanalai, Sukhothai, Thailand. On the outskirts of the sleepy village of Tambon Baan Tuek near the ancient town and former Thai capital of Sukhothai lies Boon Lotts Elephant Sanctuary (BLES). It’s an Elephant Sanctuary with a difference. 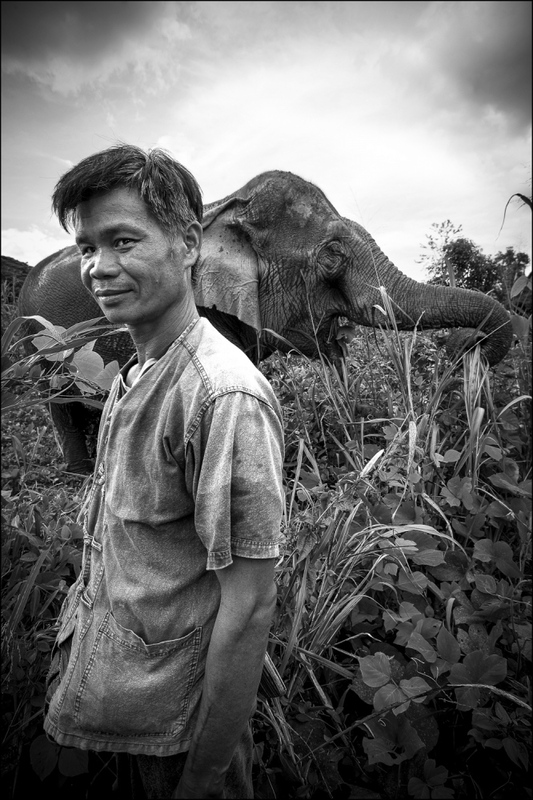 The Mahouts, elephant keepers or drivers, lead the way in welfare for these animals. There are no demeaning rides, shows or tricks performed by the elephants for tourists. The sharp metal hook known as the ‘ankus’ that is traditionally used on the elephants most sensitive areas to literally stab it into submission is forbidden. Thirteen elephants, many of them rescued by BLES from abuse, roam the 420 acres foraging for food and bathing as the mood takes them and the day progresses. The animals naturally divide themselves into small 'family' groups breaking up their collective number and are constantly accompanied by their Mahouts. Revered throughout Thailand for centuries and held in high spiritual esteem in both Hindu and Buddhist mythologies, the Asian elephant is still seen by many Thais as their national symbol and was even featured on the countries national flag until 1917. They have been used in battle by ancient Ayutthaya kings and offered as presents of prestige to foreign rulers. At the turn of the 20th century elephant numbers were estimated to be around one hundred thousand, wild and domesticated, with in the Royal Kingdom. Today the number stands at approximately three to five thousand. The Asian elephant is now an endangered species, listed under Red by the International Union for Conservation of Nature acknowledged as the world authority on species extinction risk. The rapid decline of the Asian elephant in Thailand follows the familiar path. Urban expansion alongside mechanized logging ravaged the wild elephants traditional river valley grassland and forest habitats. The employment of the domesticated elephants and their Mahouts inside the timber industry itself collapsed in 1989 when Thailand banned logging within its borders. Widespread death and destruction had occurred the previous year in Surat Thani province on the eastern shore of the 'Gulf of Thailand'. Heavy rainfall caused flash floods and mudslides as the water ran freely down unprotected slopes due to the deforestation brought about by the timber industry. 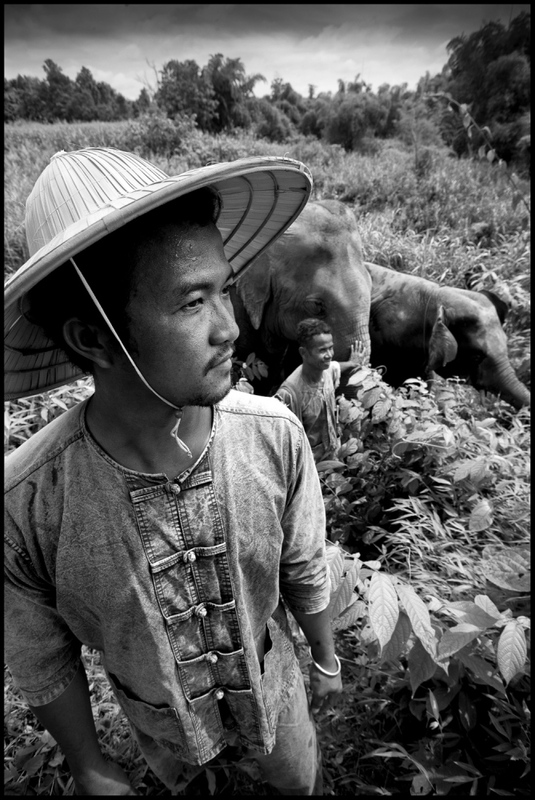 Some elephants are still kept within the logging business today, working illegally in harsh conditions on the Thai/Burmese border. Amphetamine use on the animals to increase their work rate is reported as rife. Others were moved into the tourist industry offering rides and entertainment where conditions of care are questionable. The remaining animals became street elephants, used for begging in the cities of Thailand. The traditional bond, which for millennia produced a close and harmonious working relationship of mutual care between Mahout and elephant, now seems to have all but disappeared. These Mahouts, based at BLES, are determined to turn that around.